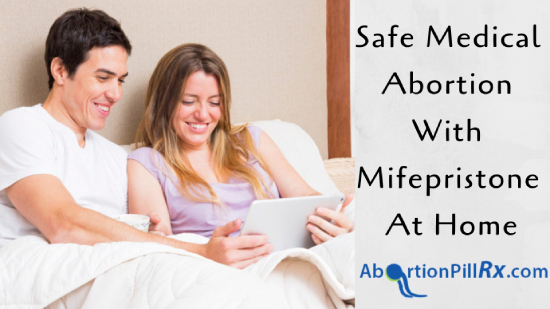 Use of Mifepristone at Home for Safe Medical Abortion. Undergoing a medical abortion process is easily possible if the woman understands it properly. Mifepristone is a medicine used in the process of medical abortion. This blog shall explain how the Mifepristone abortion pill contributes to making the procedure successful. A woman has progesterone hormone which causes the pregnancy to grow. To abort an unwanted pregnancy, it is important to stop its development. When you buy abortion pill online ( or from the local pharma stores), you receive a combination of two different abortion pills. Among the two, the mechanism of Mifepristone pill is used to stop the development of pregnancy. Mifepristone is an anti-progesterone pill which works against the fetus-growing-hormones mentioned earlier. One tablet of 200 mg Mifepristone is enough to work on a pregnancy up to 63 days of gestation. In some cases, the tablet is also used in the process of surgical abortion before the woman undergoing a surgery. The pill is generally taken orally with water as the abortion process begins. What does the user experience after consuming Mifepristone pill? The user may or may not experience any notable change in the body immediately after taking the pill. The continued symptoms of pregnancy such as nausea, weakness etc are a common phenomenon which is not abnormal to be found. Can Mifepristone alone terminate an unwanted pregnancy? No. The Mifepristone abortion pill contributes to the medical termination of pregnancy, however, it does not end the pregnancy alone. To complete the abortion procedure through feticide pills, one must also buy Misoprostol online (or from local stores). Rare cases have reported slight bleeding. This should not be misunderstood as a sign of pregnancy termination. The process is incomplete without the consumption of Misoprostol. Both pills play an equally important role in the whole process of ending the unwanted pregnancy. How does Mifepristone help Misoprostol to complete the abortion process? To remove the fetal tissues from the body, a pregnant woman’s body must detach the fetus from the womb. By stopping the development of the fetus, Mifepristone helps to detach the fetus from the womb. This way, Misoprostol abortion pill can work on the uterine lining and make contractions in the uterus. The pills further expel the tissues with vaginal bleeding. The Misoprostol pill is typically advised to be taken 24 hours after taking Mifepristone. The whole process takes a week long to completely end the pregnancy. At times, it can take more time to finish the process. It entirely depends on the gestation of pregnancy and how your body reacts to the pill. 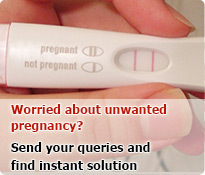 Consult your doctor or take a home pregnancy test to confirm your pregnancy termination. If you have followed all the instructions given by your healthcare provider, you are most likely to receive positive pregnancy termination results. This entry was posted in Abortion Pill Information and tagged mifepristone abortion, Mifepristone Abortion Pill, Mifepristone and misoprostol, Mifepristone online on January 30, 2019 by admin.